For my family, our milk allergy journey has presented two things to know: Where's the milk contamination (so we can avoid it), and Learning to understand how to live milk-free, and find the foods we need. Once we figure out the what and the where, we Have to figure out who. Who can understand our life and/or is capable of "getting it", and who do we need to avoid to keep our daughter's life safe? These (really) three components provide the tools needed to parent a child with life threatening airborne, touch, AND ingestive reactive food allergy. With our daughter's severe allergy, everyone in our household plays by the same rules. They're real simple: NO cows milk allowed...ever! We've learned that foods are rarely what they claim to be. We're eons beyond being sold by fancy labels and false claims. Some brands mention cross contamination - some don't (even though the 15 million Americans with a food allergy really need to know. )There's no such thing as brand loyalty for us. Instead of food companies being required to openly share possible dangers, parents and/ or caregivers need to call manufacturing companies to learn the handling practices, to protect their child's basic human needs. Every decision we make is 100% with the best interest of our daughter. Her very life depends on it, and that trumps anything else. I'm usually regarded as a helicopter parent ( a hoverer), an over reactor, a control freak etc., you get the idea. I know how rare food allergies were 20 years ago, and that some people haven't had to manage food allergies, so I've become resilient to people casting judgments and comments. It's all true! I hover, and I'm sure my daughter appreciates that I've protected her life thus far. I have to be all of those things, so I have no apologies to those who stand in judgement. My little girl's life requires very special attention and deserves the adults around her to get a clue. I have grown and adapted into my style because it's what works--so naturally, it baffles me when others fail to understand and support grand efforts for children's safety. It makes me feel sad for their kids. 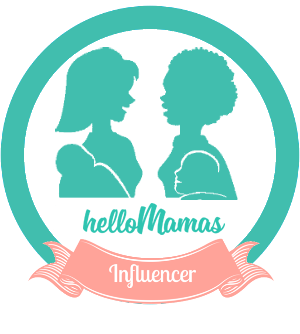 I have found a wonderful network of Mommies with kids with food allergies with Hello Mamas http:/www.hellomamas.com We share recipes, thought processes, concerns, parenting support, and of course discuss the obstacles ahead for our kids that we hope to impact a change with. We've made huge strides with our non profit, Food Allergy Resources & Mentoring www.fa-resources.org to help to stop the bullying and create inclusivity among the community for social holiday gatherings--- where kids with food allergies feel left out the most. It's comforting to know that these other people understand our good intentions and help support parenting this lifestyle. Our personal situation is a little different though. Our daughter has a life threatening contact/ airborne allergy to milk proteins in addition to ingestion. This means that she can avoid all milk and milky places, then touch some inanimate object in passing and suffer anaphylaxis. I can't even begin to tell you how difficult life is under these conditions. We made the choice to homeschool our daughters because of the inability to control public environments. It was the only choice we had and ,at the same time, it was a role that I had never imagined for myself. I was never the smartest kid in class, or really cared for school that much. So, needless to say, I was definitely out of my comfort zone, but that's when you grow the most as a person, right? Well, I definitely did! Homeschooling may have started out of necessity for us, but it's been such a bonding experience! It has defined our value systems, brought us closer in every way especially spiritually, and helped us build strong relationships with both of our children. We can safeguard them and expose them to aspects based on our close understanding of each child's readiness and maturity. Our worst nightmare is fighting the invisible, and the fact that all we can do is guard our daughter the best that we can (hoping that it will be enough.) Then, we overanalyze every allergic reaction to pinpoint something more we can do to protect her from the next time. For instance, my daughter recently had a severe reaction at her physicians office after he used the stethoscope on her. Now, I think to tell the medical staff to clean everything with alcohol wipes before touching my daughter with anything. I've learned that they don't think to do that on their own?! I hear about the progressive measures that schools are making to safeguard kids with food allergies. Kids sit at different lunch tables and are watched by an adult while they eat. It's great because it works for a great deal of children, but in our case it could never work without all parties being on board and completely understanding the situation. I'm not concerned that my daughter will eat something with milk in it. She has learned from her own life experience not to ignorantly place trust in brands, or people. She has learned that trust is something earned. I'm more concerned that she'll touch ANYTHING at all at the school that some other person touched after they touched milk counterparts. I would be sending her to get seriously ill everyday if I sent her to school. For this reason, I will be homeschooling. It seems unjust that for my child who, in ever other way, is completely healthy and perfect cannot be accommodated in most public environments. And, that the reason is because nobody is held to any accountability. I've referred to her condition as a special need or a disability, but that really is the wrong terminology. People living with a disability can usually be accommodated--and the federal government helps them, by requiring additional equipment or help. It's also because people Believe what they see, and you can't see a food allergy. I know 501 plans were made for schools to protect kids with food allergies. I also know from my many international friends dealing with identical situations that they often fail. And what about the child who can't be in any environment where traces of milk are present? There really isn't any terminology that addresses my daughters condition except a food allergy, but then no one understands what that means. There are no special accommodations made for her, just the common dialogue about how "we can't expect others to understand or care", hence my feeling the need to "hover." For the record, I DO expect others to understand AND care because I'm willing to educate them. And, as a decent person, I'd do the same for anyone who required special attention. That's just me and something I've learned about myself. Don't ever ask a Mom to lower her expectations about the health and wellbeing of her children. This is an impossible and damaging request. Damaging to your relationship with said people. Among the incapability of ordinary reason and unjust treatment, there is HOPE and we have FAITH and LOVE. We cling to these concepts when we think of the future for these "kids with food allergies." Their mortality is constantly in question with each allergic reaction, and compromised by those around them countlessly.. 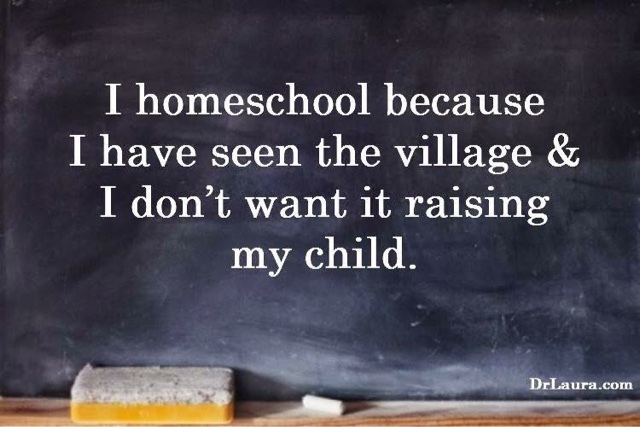 I'm so grateful that our journey led us to homeschool. Our daughters allergy may have isolated us from the mainstream world, but the world we've carved out and discovered is everything we always wanted. With one on one attention, our 6 year old is thriving in all academics- at a middle school level in most. We live our own little simple life, focus on the positives, our similarities, and our passions. Now, I can't imagine any other way I'd want to raise my kids. We literally took an extremely difficult situation and turned it into a unique existence that I'd never want to change. We spend so much quality time together, in an encouraging way, focusing on our own individual passions. We never put too much energy into what makes us different from most. Most look at our situation with sadness, sympathy, or ignorance. When you eliminate the negativity and stigma that has marked food allergies, and change the dialogue into something amazing, you can literally create your own destiny. I'm aware of and watch the rat race around me and know that our parenting style is right for us. It's like trying to fit a triangle into a circle. It doesn't work! I am so glad we are a triangle family. The best quality of life we can give to our kids is to show them how we've created our own existence and happiness. If you don't like the way the table is set, then turn over the table and reset it the way you want to see it. We focus on encouraging our daughter to be in charge of her condition without being overwhelmed with anxiety. It is so pleasing to see hope happen for her. We have an uphill battle ahead of us with educating others through our testimony and our non profit https://www.facebook.com/Faresoures/ but as our tight knit family, we can make most things possible together. Despite all of the odds stacked against us from the beginning, our daughter is thriving--- and that is the best feeling in the world. I trust in my faith completely and I know every moment is a blessing that I never take for granted. We are all in this together. Food allergies have helped us define what's important in life. Who can say that?